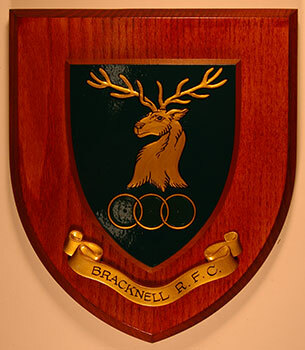 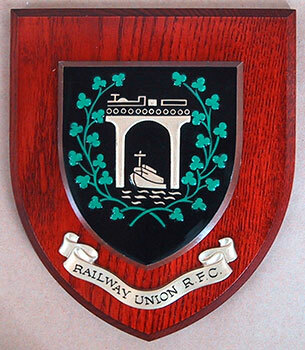 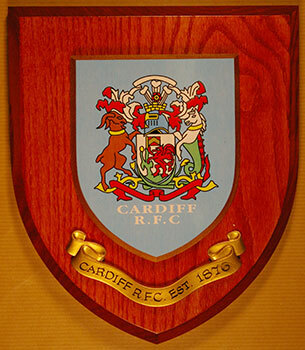 B & M Leisure supply exclusive, hand painted plaques at competitive prices to clubs and organisations throughout UK and Europe, including councils, sports clubs, colleges, and schools. 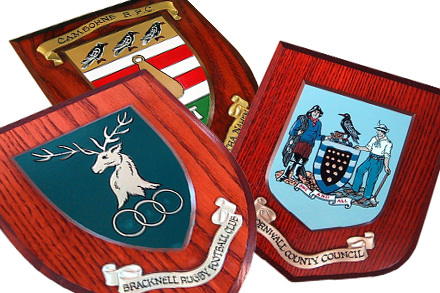 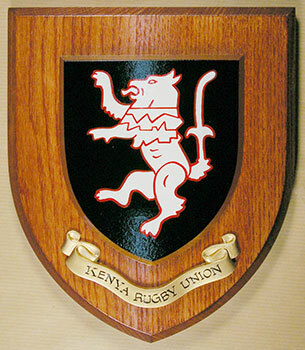 Crafted by hand, our plaques feature your logo or Coat-of-Arms (Heraldic Shield), which is hand painted in enamel onto an embossed centre and then mounted on a solid hardwood base. 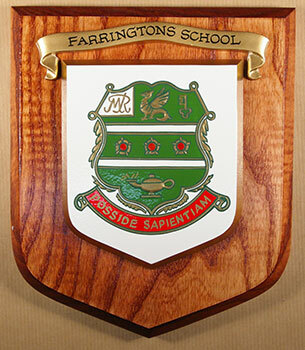 Extra scrolls can be used to highlight special anniversaries or events, engraved brass plates are available too. 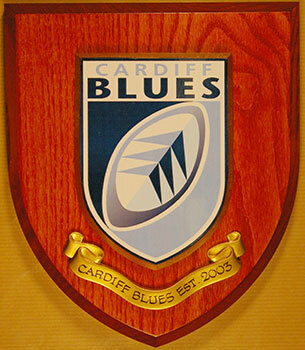 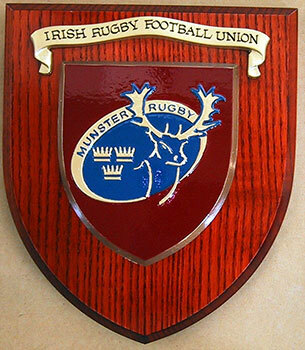 Here is a small selection of trophy wall plaques we designed for our clients. 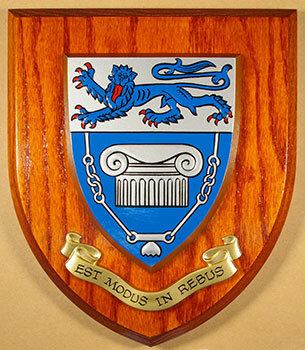 Click on any image to enlarge and view in more detail.